Whether you are looking for a relaxing massage to help with the stresses of daily life, need more in-depth work for ongoing issues, are an athlete preparing for an event, or anything in between, massage can help. Massage therapy promotes health and well-being by way of soft tissue manipulation and movement of the body. Different massage techniques are used to treat un-ease of the human body, to promote healing, encourage higher levels of wellness and regain balance through a holistic (whole body) approach. If you don’t have any pressing sore spots and you would like to chill out and relax from head to toe, a swedish / relaxation massage would be perfect for you. Are you training for an event (or just finished one), part of a sports team, or working out to stay fit? Massage will speed recovery, free up stiff joints and tight muscles, help prevent injury and improve movement and flexibility. If you have sore or tired areas of the body that need attention a deep tissue massage will help to target these problem areas and provide relief. If you suffer from chronic pain and discomfort then neuro muscular therapy, a specialised deep tissue massage, can help. This type of massage will see you regain balance within your body. If you want to understand more about the various treatments and what we offer. 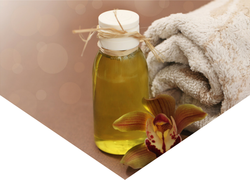 If you want to find out the benefits you can expect from a massage therapy session. If you are unsure what to expect from a massage session and want more info.